Founded in 1965, Ruth’s Chris Steak House has over 100 steakhouses across the United States, Canada and Mexico. This upscale fine dining establishment serves their steaks in a 500-degree sizzling plate to keep it warm through the very last bite. 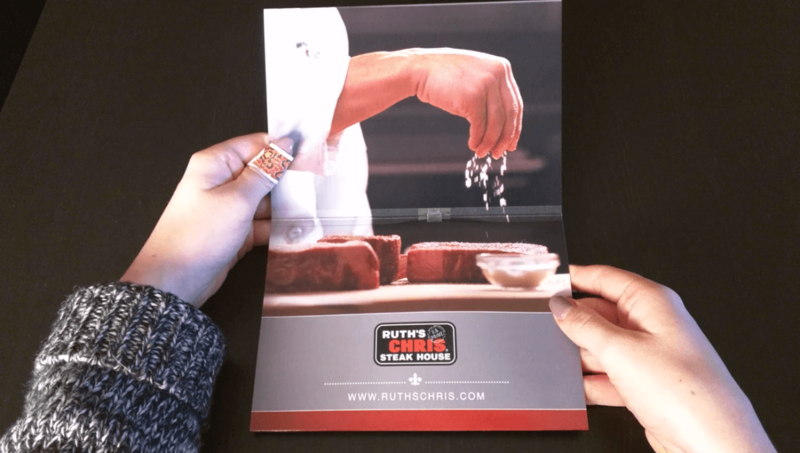 Ruth’s Chris Steak House is using bigDAWGS’ Musical Greeting Cards to invite everyone to visit their website for lunch or dinner menus, promotions and reservations, and to find locations near you. At Ruth’s Chris Steak House — the steak dinner, done right!